Despite its small size, Delaware shows a significant variation in mean temperature. While the all-time high temperature was recorded at 110 degrees Fahrenheit, the all-time low temperature was recorded at -17 degrees Fahrenheit. Do you know Delaware was the first American state to ratify the constitution on December 7, 1787? Also, Delaware is officially nicknamed as the First State. The residents are extremely helpful and try to help everyone whenever they can. If you too want to do your bit, how about making deaf people’s day better by helping them enjoy an amazing hearing experience? By passing the written and practical hearing aid specialist licensing exam in Delaware, you can become a licensed professional. You can dispense hearing aid instruments to people in need and help them hear and feel comfortable. In 2012, Jack Markell, Delaware Governor, passed two additional laws. These laws promote the newborn hearing screening process to educate the new families for hearing loss. This process made it easy to find if a child has hearing loss shortly after birth. Since the past decade, Hearing Aid Academy has helped thousands of people become a professional hearing aid specialist. We offer 100% online hearing aid program that can be studied anywhere anytime with a working internet connection and a laptop. Now, you have the freedom to clear your hearing aid specialist licensing exam in Delaware in less than 12 weeks. What’s more? Sign up for the Hearing Aid Academy’s program now and get access to the following benefits. You can now make a change to someone’s life. Help them hear well and stay confident. It’s your chance to clear the International Licensing Exam (ILE) administered by the International Hearing Society (IHS) in less than 12 weeks. Qualify as a hearing aid specialist here in Delaware and work for yourself. Hearing Aid Academy makes it easy for people, like you, to have an alternative career where you can set your schedule and work as many hours as you want. Hearing aid specialists are in high demand as one in every three people above the age of 65 requires hearing aid service. A career as a hearing aid specialist comes with plenty of benefits. You will have long-term stability, excellent income potential, and a flexible work schedule. There are some other benefits that make Hearing Aid Academy one of the most preferred courses. The Hearing Aid Academy is a 100% online curriculum to help you pass the written and practical hearing aid specialist licensing exam here in Delaware. This self-paced learning program can be completed within 3 to 6 months depending on how fast or how slow you work along. You can also arrange the learning schedule to meet your needs. When you enroll in a college, you need to reorganize your schedule, forget your hobbies, leave your job and concentrate on studies. However, with HAA, you can easily work regular hours while studying online at night or in free time. At Hearing Aid Academy, you get your hands on the most comprehensive hearing aid specialist licensing program at a cost-effective price. With monthly payments starting as low as $199, it is a fraction of cost what traditional colleges levied. Moreover, financial assistance is provided to students who qualify for the program. The hearing aid is a growing industry and you can enjoy a great return on investments by becoming a qualified hearing aid specialist. Not only people above the age of 65; rather a person falling in any age group can experience loss of hearing. Therefore, hearing aid instrument specialists are in high demand. So if you are tired of working for others, Hearing Aid Academy gives you a chance to work for yourself, at your convenience. We have a great track record of success. We equip you with the knowledge to pass the licensing exam in less than 12 weeks. Moreover, a career as a hearing aid specialist offers excellent income potential. Finding it difficult to sit for long hours? Can’t leave your job? Dread uncomfortable chairs that cause backache? If you said yes, HAA online curriculum is the answer. When you choose an online program such as HAA to prepare for hearing aid specialist licensing exam in Delaware, you can study anywhere anytime. All education material is available online and can be accessed easily. 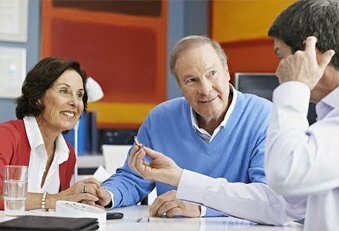 Moreover, if you are stuck at a problem, you can easily join a one on one session with our experienced hearing aid specialists having more than three decades of experience. So instead of scheduling your day around your studies, schedule your studies around your day. To become a hearing aid specialist in Delaware, you need to clear the international written and practical exam administered by IHS. Every U.S. state has different laws, regulations, and policies for regulating the profession of hearing aid dispensers. You need to be aware of your state’s requirements. We, at Hearing Aid Academy, can help you get familiar with your state requirements to work as a hearing aid specialist. At Hearing Aid Academy, we have qualified instructors with at least 30 years of experience working as hearing aid specialists. For over a decade, Hearing Aid Academy has effectively helped students prepare for ILE to become successful hearing aid specialists. As a hearing aid specialist licensing professional, you can help people find a hearing aid that suits their lifestyle and not the other way around. Enroll in the online program today.